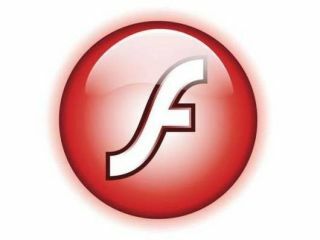 Adobe has announced that it has received a huge number of download requests for Flash on the iPhone OS platform. The software developer said that in December alone it saw seven million requests for Flash for the iPod touch and iPhone, highlighting the desire for it from consumers (who presumably aren't familiar with the ongoing saga between the two companies). While Apple and Adobe said they would be collaborating on Flash video for the iPhone in the future that promise is still to be realised, with relations between the companies seemingly getting worse. "It's your fault... no it's YOUR fault"
Steve Jobs apparently called Adobe 'lazy' for not making a less buggy version of the platform for the iPhone and iPad. Adobe hit back, saying it was Apple that was being the difficult one in the process, citing a 'lack of cooperation' from the Jobs' lot. Either way, it's not what we want to hear right now - clearly people want Flash video on their Apple device, so Jobs needs to give Mr Adobe a ring and just say: "Look, let's just get this sorted... not for me, not for Apple, but for the fans. Think of the fans."